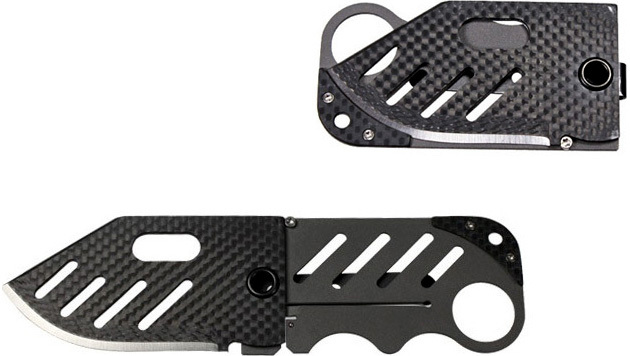 Thanks to its incredibly stylish and ultra thin design, the Creditor Carbon Fiber Money Clip Knife by John Kubasek ($200) offers a variety of carry options. This custom-made knife is only 6 inches when fully open, and folds to a compact 3.5-inch by 1.25-inch. It features a carbon fiber-, D2 tool steel- and titanium-construction, a sharp 3.25-inch blade and a convenient money clip.